Hey guys! TGIF!! 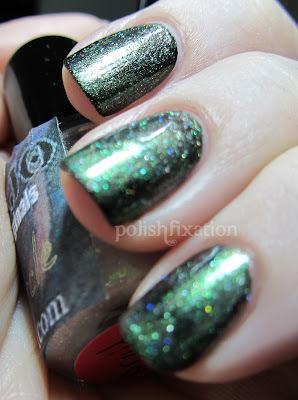 To end this week, I have an amazing new polish to share with you! My good friend Jody has ventured into the polish-selling world and has come up with her first official line of nail polish: Soflajo: Year of the Dragon!. Her set is 8 unique glittery color-changing topcoats that are made with natural pigments and glitters AND are B3F! 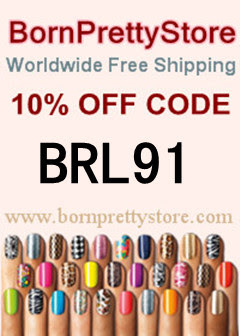 (free of the "big 3" chemicals: Toluene, Formaldehyde and dibutyl phthalate). The color that I am sharing with you today is called Druid Circle. The Soflajo website describes this color as: "Green glitter and depending on your basecoat, shifts from light green to rose". I have swatched this color over Wet N Wild Black Creme (My go-to 1-coater black polish!) but I can't wait to try it out over other combos in the future as well! You can really see the "rose" color shift on some of the nails here! My pictures show 1 coat of Wet N Wild Black Creme, 1 coat of SoflaJo Druid Circle, and 1 coat of clear top coat. The formula of this polish is really easy to work with and the glitter does not feel gritty at all. If you still aren't convinced of that you can just add top coat and it feels super smoothed out and looks gorgeous and shiny. I cannot wait to see all the other colors of this collection and probably pick up a few for myself from the shop once I see all the swatches! Jody did an amazing job with this set and I wish her the best of luck in her sales! What do you think of this polish? Do you like color shifting top coats? Gorgeous nails and colour!! Jody has another winner on her hands for sure! Wow, that's gorgeous! I'll definitely be checking out her shop. This is great! 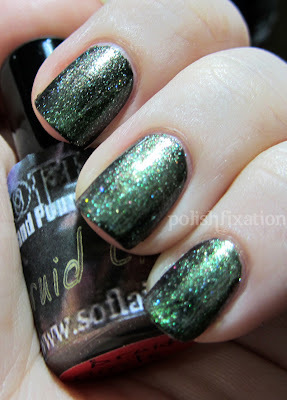 I really have to check out SoflaJo's polishes!